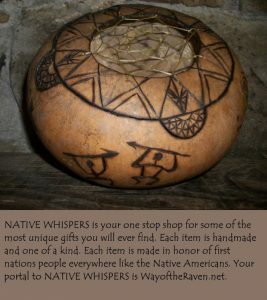 Today’s blog is by guest blogger Alex Park of authorizedboots.com. Some of my readers may question why I posted an article on bird watching and may be wondering what it has to do with survival skills. Well I can tell you…. when you are in the woods surviving for a few days your senses become much more tuned to your surroundings. This is an important survival skill. In a survival situation being observant can be the difference between living or dying. Birds are often indicative of healthy water and surroundings. They are often alarms to danger. Bird watching is a way of teaching and tuning your senses that you can do ahead of time. Alex has some great thoughts, links and references in this article and be sure to visit his website. 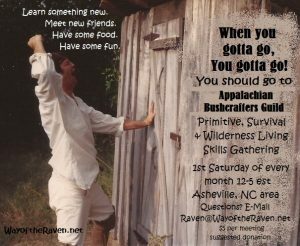 It has many resources for anyone interested in survival skills. Human eyes were created to behold great beauty, and aside from flowers growing in the wild, none can rival the riveting grandeur and attractive quality of a bird living free – perched on top of a far-away branch or busy creating a nest. However, aside from simply gazing at these wonderful creatures there are other reasons that might compel you to consider this great hobby. 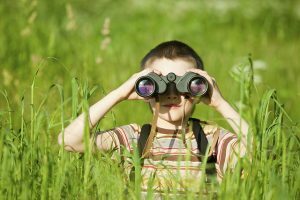 It is hard to find anything to compare to bird watching when it comes to the fun value of this activity. At the same time, it promises a low entry barrier, so that newbies can easily embrace this new hobby. All you really need are binoculars, sunny weather, birds and great company to have a splendid time. Other nature activities promise a lot of fun and ensures a great deal of thrill for those who take on that journey, but the cost and the level of skill required easily discourages the elderly, children, or those who do not have the time or the money needed to jump-start the process of learning the said activity. You’ll never encounter the same problem when it comes to documenting a bird’s behavior. 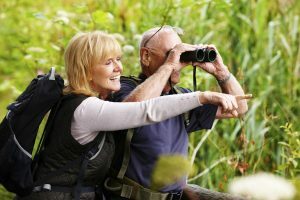 Retirees can embrace this new hobby as well as grade-schoolers who already have the skills to write down or take photos of what they can see in the wild. Encouraging people to leave the comfort of home is easier if you have an exciting alternative that awaits them. It is much easier to entice a teenager to abandon their game consoles and mobile devices for a certain period of time in order to observe one of nature’s amazing gifts to mankind. Those who are seeking to establish a more active lifestyle can find an alternative to arduous tasks like hiking or mountaineering, because bird watching is a type of nature activity that you can perform in a leisurely pace, there is no summit that you need to conquer or a time-frame that controls your every movement. This particular type of activity is best enjoyed when the hobbyist takes on the mind of a collector; however, instead of collecting objects he or she collects pictures, videos or drawings of birds in their natural habitat. Although it is good to have a video recording of avian species in the wild, and it is wonderful to learn how to sketch the images of the said wonderful creatures on a sketch pad, nothing beats a still picture bursting with colors. Hobbyists learn how to document the different species of birds, tracking them, and identifying them through their scientific names and other attributes. No words can describe the amazing feeling after staring at a multi-colored bird’s image captured through high-definition photography. These pictures make this activity more satisfying than a simple hike through the woods. There is a greater level of fulfillment knowing that you were able to bring back something from a hike through a jungle or a stroll through a national park. Biomimicry is a relatively new scientific field of inquiry that emerged after the discovery that human beings can develop innovative solutions and designs by studying biological processes, and this includes the study of the shape and movements of biological organisms. Eiji Nakatsu was a train specialist working for the a Japanese rail company, and for a long time he and his colleagues were baffled by the noise pollution created by bullet trains. Due to the specialized vehicles high-velocity, a loud sound is produced every time it emerges from a tunnel. A loud popping sound can be heard and the high-decibel level is unacceptable for passengers and government regulators alike. A solution was needed as soon as possible. As luck would have it, Engineer Nakatsu also dabbled in bird watching, and he realized that a kingfisher diving into the water at high speeds exhibited a superior level of aerodynamic design as it merely creates a ripple when it slices through to get its meal. 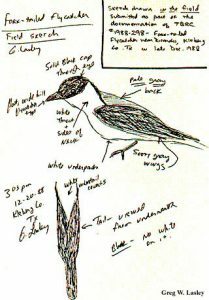 Nakatsu made the assumption that it is due to the bird’s unique beak shape that allowed it effortless grace diving for the kill. Thus, he suggested to redesign the bullet trains, and the new design looked like the elongated beak of a kingfisher. Interestingly, the engineers of the said company were not only able to lower the decibel signature, they were also able to increase the velocity of the trains while at the same time lower the carbon footprint of the said vehicle. North America and South America combined provides a large land mass wherein one can find a great deal of natural diversity. You can spend a lifetime tracking and documenting hundreds of bird species from Canada to Mexico. However, there are certain species that one can only find in Asia or Europe, and this facet of the bird watching hobby is the most exciting part of all. Imagine the anticipation and the joy of planning a trip because you need to add to your digital collection of the world’s beautiful aviary species. 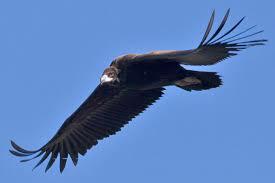 Consider the thrill of flying to Spain, specifically to Monfrague National Park in order to observe a Eurasian Black Vulture or a Booted Eagle. Take children and teenagers with you when you embrace this new hobby and you’ll discover that there is a much better way to teach the value of conserving the earth’s natural resources. It makes more sense to take care of the environment if the next generation understands the outcome of such actions. If they can see with their own eyes the magnificence of a white-winged dove or a golden-fronted woodpecker soaring to great heights, they will understand why it is important to become good stewards of nature’s gifts to people. One of the best teaching moments is to plan a trip that allows you to follow the flight path of migratory birds. We also recommend that you look into the best spotting scope that is right for you to improve your overall experience. Try visiting national parks, such as, Point Reyes National Seashore, Cabrillo National Monument, and Big Bend National Park. It is so important to build awareness of one’s surroundings. It can literally be a matter of life and death in a survival situation. I have found when I come out of the woods after about four days my senses are so heightened that walking back into civilization is like walking into a room blaring with alarms and flashing lights! It is true. My senses become tuned to even the smallest sounds in the woods like a bird or a squirrel moving about when I spend time in nature. It is important that we teach children while they are young how to observe and be aware of their surroundings. I have observed children as they run across a field seeing nothing then I start pointing out various plants, animals, tiny insects and it is amazing the change that takes place when they go across that same field again like dogs with noses to the ground noticing everything. DISCOVERY IN A SQUARE: Have children lay out a square randomly on the ground with four sticks, about 12 inches by 12 inches. Now have them list everything they see in that square. They will be amazed at all they see! BLIND TRAIL: In advance prepare a length of rope forty feet or so long and tie it about hand height for the children on both ends. All along the rope hang interesting objects like a bone, skull, feather, even common objects like a cup or something. Blindfold each child one at a time and lead them safely to the line and place their hands on the line. Have them feel and observe with only their sense of touch. No peeking! Then lead them to an area away from where they can see line and have them list what they think they ‘saw’ with their hands. FEATHER TRAIL: In advance put several feathers hidden in plain view all along a trail. Put them high and low. Stick them in the bark of trees, lay one on the ground…use your imagination. Place them in such a way as each child must silently observe above, behind, down and in front of them. Use feathers that are natural colored and harder to see. Have each child go one at a time and tell them they must mentally record and count how many feathers they see. Even allow them to choose one as a souvenir. 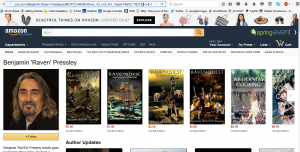 Raven has many books available! Some are only 99c!